The Owl Micro+ Energy Monitor lets you check how much electricity your home or office is using in real time. Identifying how much power you use and where it is going is a fundamental step in saving on electricity. Owl’s Micro+ is a basic unit that will allow you to put in your electricity rates and will calculate your usage, cost and co2 emissions. Simple installation and setup – doesn’t require an electrician! Multiple alarm functions to instantly identify when you’re exceeding a customisable target. 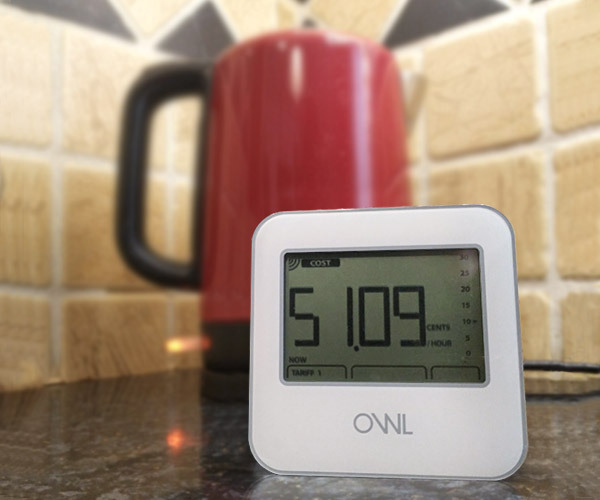 The Owl Micro+ Energy Monitor is the first in a new generation of Owl home energy monitoring products. Freshly styled and easy to use, the wireless micro+ monitor is battery powered to sit comfortably anywhere in the home. 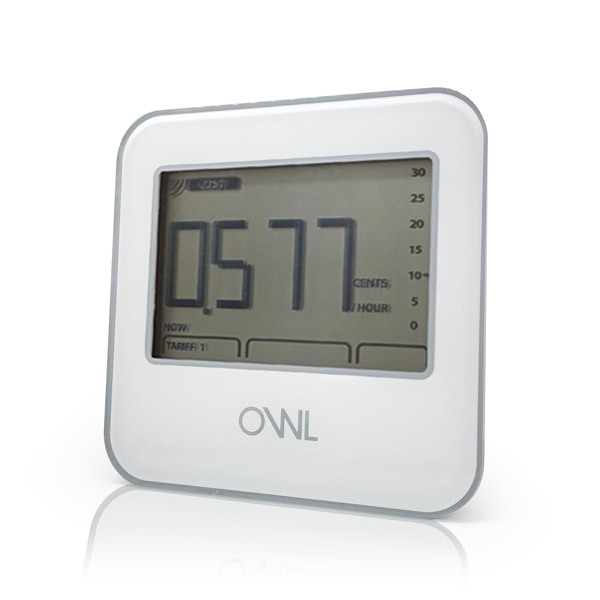 The Owl Micro+ helps you monitor and reduce your electricity consumption. Owl Micro+ Energy Monitor has new features and class-leading quality. This low cost energy monitor should quickly pay for itself in cost savings and help the environment at the same time. The Owl Micro+ Energy Monitor features real-time and accumulated consumption. It also supports multiple tariffs based on usage, prefect for dual rates, as well as supports timed tariffs.